Although trends toward physician consolidation into larger groups are widely recognized, the growth of large, for-profit practices with national scope has received comparatively little notice. At least I was unaware of national physician practices (NPPs) until I joined Sound Physicians last year as its Chief Clinical Officer, after many years as a health services researcher and later executive in a large academic health system. Sound specializes in acute care medicine and performance management services, employing more than 3,000 hospitalists, intensivists, and emergency medicine physicians with practices at more than 275 hospitals in 38 states. NPPs tend to comprise a single specialty or small group of related specialties, including primary care, surgery, orthopedics, anesthesia, and radiology. Sound is by no means the largest; several NPPs, including Envision (primarily emergency medicine) and Mednax (pediatrics), now employ well over 10,000 providers. These groups have grown rapidly over the past several years, either by acquiring existing physician-owned practices or by converting hospital-employed groups. Although most NPPs are privately held, many of the larger companies are now publicly traded. NPPs are growing in part because there is demand for their services. Many hospitals turn to them because physician management is simply not their forte and they are struggling with clinical performance and efficiency. Hospitals also partner with NPPs when they have difficulties recruiting physicians. With their national scale, NPPs have a strong advantage in this regard, particularly in medical specialties with nationwide shortages, such as hospital medicine and intensive care. Second, NPPs are growing rapidly because public and private equity markets are funding their acquisition of independent practices. In addition to the continued availability of capital at historically low interest rates following the 2007–2009 financial crisis, professional investors see new opportunities as changing reimbursement models reward higher-quality, lower-cost care delivery. Critics can cite several mechanisms by which NPPs could drive up rather than decrease overall health care costs. First, the NPPs could leverage their size and market power to raise rates with insurers and ultimately prices for consumers. NPPs seldom acquire the same degree of leverage with payers that hospitals wield in concentrated markets, but anticompetitive pricing could become an issue in certain locales. Second, overcoding, overbilling, and other aggressive billing practices, though a risk in any setting, are no doubt more common in for-profit environments. For example, one recent study highlighted a spike in exorbitant, out-of-network physician charges for patients treated in emergency rooms managed by two large NPPs. Finally, NPPs may be more prone to overutilization, at least in specialties where clinical demand is elastic. For example, my research colleagues and I demonstrated a decade ago that markets served by for-profit cardiac care hospitals had higher rates of elective percutaneous coronary interventions and bypass surgery than those served by traditional hospitals. While these various concerns are not new or unique to NPPs, they are legitimate and will require continued surveillance by payers and regulators. Whether NPPs will deliver better care to patients is the more interesting question. I joined Sound Physicians because its scale, rapid growth, and commitment to innovation were exciting to me. Its core value proposition to clients also aligned with my sensibilities as a health services researcher. Sound will not be successful as a business if it does not deliver better clinical performance than its competitors (or hospitals themselves), or if does not reduce costs around hospitalization episodes. (Sound is among the largest participants in CMS’ Bundled Payment for Care Improvement initiative.) No doubt many other NPPs share similar positioning in other clinical specialties and payment models. While clinical innovation aimed at improving quality and efficiency is not unique to this sector, NPPs have two major advantages relative to traditional physician practice models: scale and specialization. Their large scale facilitates management practices that reduce unnecessary clinical variation, eliminate waste, and better align clinician staffing and behavior with overall patient, hospital, and payer needs. Scale, along with investor capital, also allows for investments generally out of reach for smaller groups. Sound Physicians, for example, invests heavily, about $15 million per year, in its own national program for physician leadership training and professional development. In addition, mobile and desktop applications, which overlay the electronic health record systems of its hospital partners, are used to facilitate clinical process redesign, care coordination, and adherence to standardized, evidence-based practices. An organization-wide analytics platform provides physicians with real-time performance feedback on patient experience, throughput, and transitional care measures. Unlike hospital-based health systems, NPPs can be focused factories devoted to improving care one specialty niche at a time. 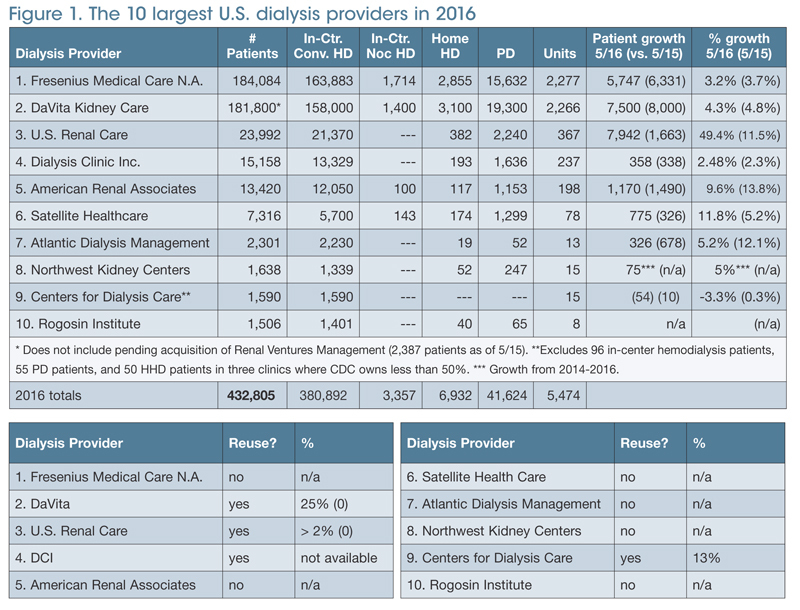 For example, Fresenius Medical Care, DaVita Medical Group, and their subsidiaries have introduced many advancements in dialysis technology, along with continuous improvement in clinical care models for patients with end-stage renal disease (ESRD). They also helped usher in nationwide standards in performance measurement. Today, despite their potential to accelerate change, many NPPs are aggregators rather than innovators. Rather than delivering a new or better clinical service, the primary goal of the aggregator is simply to get bigger, usually by purchasing other practices (including other NPPs). Their overarching business strategy is leveraging scale — spreading fixed administrative costs over a larger clinical base. Professional management techniques drive administrative efficiency, more favorable payer contracting, better revenue cycle management, increased physician productivity, and ultimately, higher profits. Aggregators predominated during the original heyday of NPPs in the 1990s. As exemplified by the rise and fall of PhyCor and MedPartners in the 1990s, they later struggled as administrative efficiencies failed to outpace financing costs and investment capital abandoned the physician services market, cutting off growth. By 2002, eight of the top ten largest, publicly traded NPPs were under bankruptcy. The landscape is a little different now, with new value-based payment models that advantage larger groups and offer a potential return on investment in innovative care models. Still, current day aggregator NPPs risk the same fate if they fail to leverage their advantages toward higher-value care. I expect that rigorous, third-party evaluations will confirm the effectiveness of many NPPs in improving patient outcomes and reducing costs. Even if I’m right in this regard, my academic friends will still ask me, “Why should investors take profits out of an already bloated, unaffordable health care system?” My newer, private sector colleagues will respond, “There’s way more waste in nonprofit health systems. And at least we pay taxes.” This ideological divide will never be fully bridged. Nonetheless, I believe there is probably enough inefficiency in the U.S. health care system for everyone — patients, providers, and even investors — to benefit from NPPs that meaningfully disrupt and improve upon existing models of care delivery. I say cut the middle man. Hospitals need to invest in leadership development and retention. The management fee simply not worth it in this razor margin environment. NPP needs visionary leaders to innovate, to invest in R & D, to improve transparency and efficiency in the delivery of curative and preventive medical services. In the internet age, information travels fast. Good customer experience can uplift a whole business conglomerate. Short sighted greediness is the sure way to bankrupt a NPP, in the past or in future.